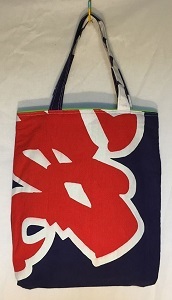 ※Please ask for price and details with Item No. 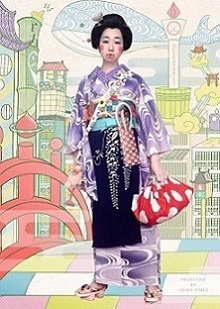 These days the number of Kimono craftsman is decreasing in Japan. 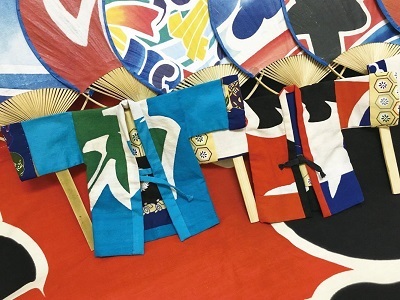 We would like to hand down Japanese traditional culture of KIMONO to the next generation, therefore we are trying to tell the world about Japanese traditional KIMONO culture and fascination of it in here to support Kimono craftsmen and Kimono shops in Japan. 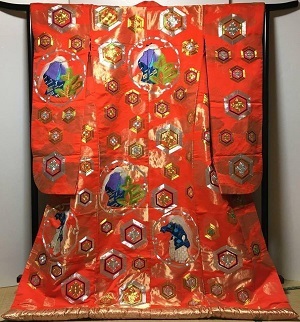 These are a very heavily, elaborately decorated outer kimono. 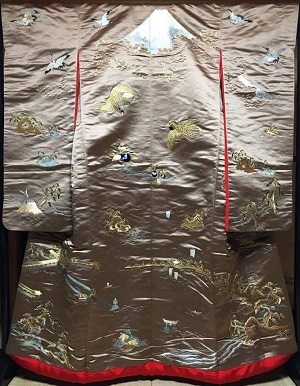 Historically, they were a formal outer garment worn by nobility, but in modern use, they're worn only by brides (and for cultural use, such as by Oiran or dancers). They have a padded hem that's worn long and trailing. 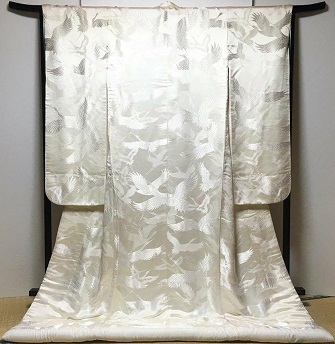 Nowadays, the western style wedding is mainstream in Japan therefore these days the number of UCHIKAKE Kimono craftsman is decreasing in Japan. 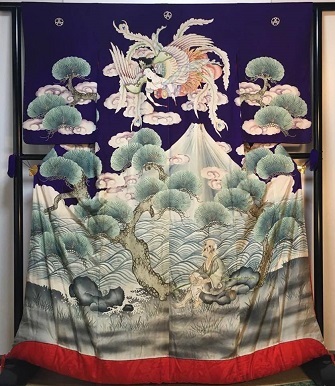 The UCHIKAKE Kimono takes more than 3 months to make it. 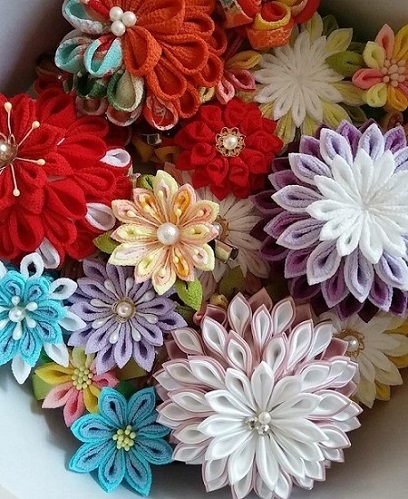 It's a traditional Japanese craft made from small, square-cut pieces of cloth (usually Chirimen) that is pinched and folded with tweezers. 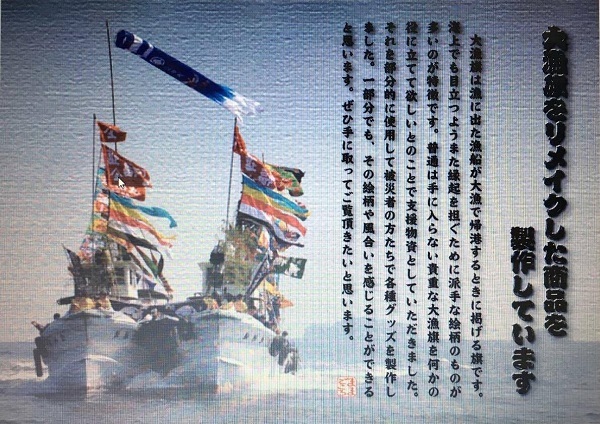 It originated about 200 years ago during the Edo period. copyright©2013 Masaki International all rights reserved.